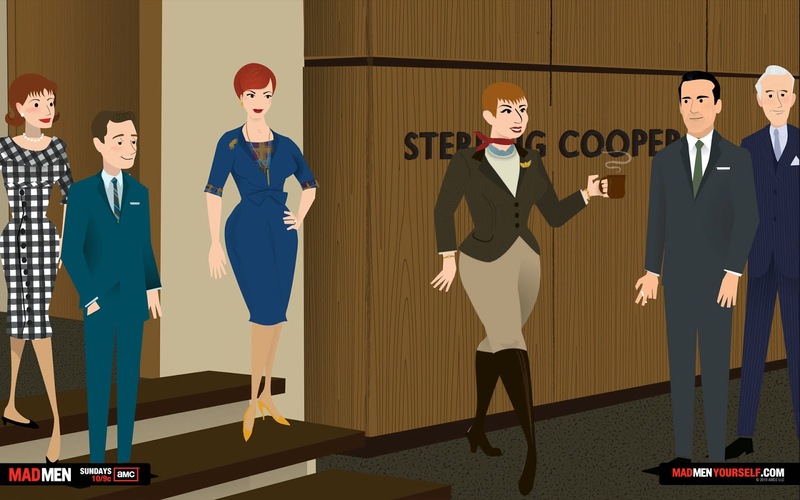 I'll blame it on my obsession with Mad Men, the 1960's period piece television series on AMC, that has sparked my interest in drinking "brown" liquors. Jack and Jim were my previous drinking buddies, but now, well, I've moved uptown to a decidedly higher drinking caliber of spirits. I could drink a Manhattan every day, and I practically have this summer. I've already gone through my first bottle of Bulleit. I also created another summer cocktail, a newer more decadent version of sangria, made with muddled fruits, lemonade and club soda. Whoa! Hold onto your fedora folks! This is a summer drink to end all summer drinks. Whipped together on a whim, I have found a twist on a perennial favorite. It's not so much a recipe as it is an idea. Use what you have but use the best that you can find, oranges, limes, lemons, home-made or good maraschino cherries, lemonade, bourbon, whiskey or rye, good vermouth and a splash of club soda. Enjoy, but not too much! You don't want to become a Don Drapper drunk. Wash and prepare citrus fruits. Slice the orange, lemon and lime in half and squeeze the juices into a cocktail shaker. Reserve half of each juiced citrus, and slice into rounds. Add the citrus rinds into the shaker and muddle the citrus with handle of a wooden spoon or a cocktail muddler. To this mixture, add in the cocktail cherries and syrup, 2 or 3 dashes of bitters, and the bourbon/rye/whiskey, vermouth and lemonade. Put the top on the shaker, and shake thoroughly to combine and chill. Pour drinks into rocks or short, heavy bottomed glasses filled with a few ice cubes and add in a splash of club soda to each glass. Garnish with a cocktail cherry if desired. indeed you are right on both! but more luscious than lethal. A Jim Beam rep turned us on to his fave: Jim Beam Black. Luscious, caramel, honey -- and at a great price. I'd be into trying that! I think a bourbon/rye/whiskey tasting event is in order! One needs to expand their spirit horizons! Knob Creek is another good whiskey. Very smooth as well.